Area Home Lending has a full team of mortgage experts. Area Home Lending is centrally located at 1737 Oakdale Dr., in Baton Rouge, LA, right off of Perkins Road, near the Perkins Rowe Shopping Center. A Louisiana-based mortgage loan company, we service customers across the state, from Prairieville, Gonzales, Denham Springs, and Walker to Hammond, Laplace and New Orleans. Our lending experts can provide you with financing options from the largest nationwide investors, while providing you with the local service and support you expect. Whether you're a first-time homebuyer, looking to finance the construction of your new home, refinance an existing residence, purchase a vacation property or looking for investment or commercial loans; we can help! Area Home Lending offers everyone a no-cost, no-obligation and no-hassle consultation. Call (225) 663-2500 today to speak to one of our lending experts. Buying our first home was very easy with the help of Chris Lewis!! He was very professional and knowledgeable about the home buying process. He stayed in contact with us from start to finish, keeping us up to date with every detail. Any questions or concerns we had, he was there with answers. Highly recommend Area Home Lending if you are in the process of purchasing a home. Great company!!!! Ask for Chris!!! 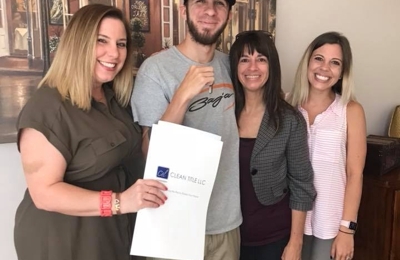 Me and My wife purchased a home earlier this year and Chris Lewis with Area Home Lending assisted us through the process. First, I had no clue of the proper steps to take or how to maneuver through the home buying process. However, we were in luck. Why? Because we never had to actually know how to do everything because Chris Lewis had that covered. We were guided every step of the way and felt comfortable and confident with every decision we made. This was predominately because of the advice and guidance Chris Lewis and Area Home Lending render the whole way through. I would not hesitate to recommend Chris Lewis and Area Home Lending to anyone and everyone in the process of buying a home or re-financing a home. Actually, come to think of it, I have actually referred 3 additional couples to Chris Lewis and they all share the same thoughts regarding his work......AMAZING!!! Rhonda Brooks was not only very knowledgeable, she also had a way of making this life changing event much less stressful than we ever anticipated. Thank you for all you did for us, Mrs. Brooks. I’m so Thankful to have worked with Rhonda Brooks. She is very knowledgeable and made the whole experience far less stressful than I imagined it to be. I would definitely recommend Rhonda Brooks to anyone looking to purchase a home. Chris at Area Home Lending is the best all around! He led us through our whole process of purchasing our first home and answered every question we have had even after our closing went through. He’s been there every step of the way 200%. We can’t thank him enough. Erin Pisani is a major asset to Area Home Lending! She is absolutely AWESOME and goes above and beyond at what she does. Erin did everything, and more, to help my son get in his first home. For that, we are truly grateful! An experience we will never forget and so many thanks to her for making it happen! I am a real estate agent with Keller Williams Realty Services and my first client referred me to Erin thinking I could make a good contact in the lending world. You guys!! Erin is the most helpful person and I am so thankful for the relationship we have! She is always super available to my clients and she goes above and beyond to make sure that we are taken care of. I would HIGHLY recommend Erin to anyone! Thank you Area Home Lending for having such a dedicated employee! Ya'll go see Erin Pisani at Area Home Lending for all of your lending needs! I just purchased my first home and Beth was extremely professional and educational during my loan process and guided me every step of the way. She's extremely personable and seems to have a passion for helping people. I highly recommend her! I recently purchased a house through Area Home Lending. Erin and Jason were awesome answering all my questions, and pretty much babysitting me throughout the whole process. This is my first house, and I was so nervous that everything would fall apart. But they did it. The processing team was awesome. Also, after I closed, I missed placed my Act of Cash sale and my temporary payment coupon. All I did was call up, and with in minutes, Jeff, the post closing person had emailed it to me. I would highly recommend Area Home Lending for all your mortgage needs. I was looking forward to working with this company as a friend of mine recommended them to me saying they were great. Unfortunately, my experience was awful and I do not recommend using Tracy Oliveri or this company. Tracy was very uninformative and did not even provide a cost sheet/breakdown at the beginning of my pre-approval process as a first-time buyer. My realtor had to ask for me to be sent my estimated mortgage once putting in an offer on a home. To top everything off-- when my documentation was sent for final approval it was denied because they entered my financial information incorrectly causing me to lose the home. I provided the correct base salary and told my lender my first check would reflect a higher amount as I was being compensated for days in the previous month yet they still used the amount reflected in that pay stub. I had already made it through the inspection and appraisal process. The owner, Jason, originally stated he would cover all costs except for the inspection. After finding out I still planned on leaving a negative review and contacting the BBB he revoked that offer and stated he is sending me an invoice in the mail for all money owed. In light of this, I definitely do not recommend using this company. I can't explain how easy Dana Watt with Area Home Lending made the home buying process for us. I will absolutely use her / AHL again. Everything went as expected, on time, and most important smoothly. Thanks Dana, you'll have my business again shortly. If I had to describe how Tracy Oliveri conducts business, it would be to say that she is "fully engaged" in all aspects involving her clients. Her commitment to her clients, coupled with all aspects of the process, causes everyone involved to "step up" to her level. She is a pleasure to work with. Chris Lewis made my first home buying experience so easy and effortless. He worked around my hectic schedule. He was always available to thoroughly answer my questions. He got me a great rate and guided me step by step through the process. I would definitely recommend him to anyone looking to buy or refinance a home. I can't say enough good about Dana Watt with Area Home Lending! She is an excellent loan officer who takes care of her client in every detail. Her patience with all of my questions and concerns was exceptional. Without hesitation, I highly recommend her if you're in the market for a home loan! By far the best loan experience i could have hoped for. Jason was extremely helpful and was super fast to respond to any questions i had during the process. Excellent service and great people to deal with!!! Chris Lewis exceeded all expectations we had about purchasing our dream home. Not only was he extremely knowledgeable and professional but he was ALWAYS available to answer every question or concern. He helped us navigate every step of the process with zero stress or pressure. He went above and beyond throughout the entire process.I highly recommend him and will continue to do business with him in the future. He is truly an asset to Area Home Lending. The process of buying a home can be very tedious and stressful. Diana King was there for us from Day One! She was always available to answer all of our questions, and she always did it with a smile! I would definitely recommend Area Home Lending, and especially Diana King, if you are looking for a home! Thank you Diana King! 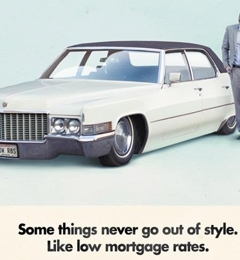 You are a phenomenal loan officer. You made the process of purchasing a home very easy. I look forward to working with you again in the future.